When facing the emotional turbulence of divorce, you must rely on a skilled attorney to protect your rights and assets. 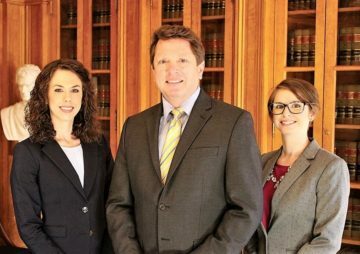 Since 1997, South Carolina residents have counted on Barker Family Law for tenacious representation in difficult times. At Barker Family Law, we are dedicated to providing individualized attention so that each client can thrive as they move forward. We focus on what’s most important to you and advocate diligently to achieve positive results. Serving your family’s needs — We are committed to providing solutions that go beyond the courtroom and service that accommodates your unique needs. Responding to your questions — You will not have to wonder what is happening in your case or why a certain step was taken. We answer every question promptly and keep you fully informed so you can be confident that everything we do is in your best interest. Providing compassionate guidance — Every communication and action we make is with patience and consideration for the turmoil you’re experiencing. In addition to maximizing your results, we want to calm your fears and uncertainty. Our focused approach to family law combines steadfast advocacy with caring service. Divorce — We explain and evaluate your choices for filing and resolving your divorce case. Separation — If you’re living apart and wish to clarify the terms of separation, we will work to ensure a fair Order of Separate Maintenance and Support. Child custody and support — The most contentious issues in a divorce are often child custody and support. We will take every step to resolve these disputes in a way that works for you and preserves the best interests of your children. Alimony — Laws governing spousal support and alimony have evolved in recent years. We will give you an idea what to expect in your situation and fight to preserve your rights. Prenuptial agreements — If you’re thinking of getting married, we offer legal advice about protecting your assets with a prenuptial agreement. Whatever concerns you have, we provide comprehensive legal advice on all subjects relating to marriage and divorce. If you’re considering divorce, it’s important to consult with an experienced family law attorney. Call us at 843-640-0532 or contact us online for a free consultation. From our office in Mount Pleasant, we serve clients from Charleston, Dorchester and Berkeley counties.